Respond quickly to the urgent summons of our noble ruler. Gather your arms and gird yourself in sturdy armour such as the Breastplate Warrior Ã¢â‚¬' Size Large. Join your fellow knights in defending the LARP kingdom from a new threat. 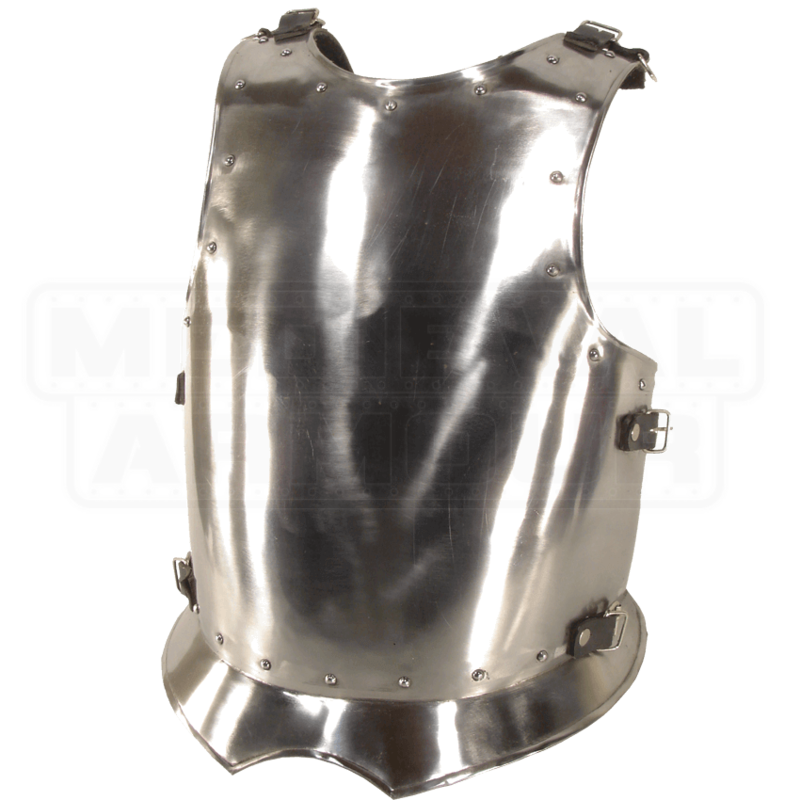 Crafted from 18-gauge mild steel, the breastplate is designed to endure the harsh conditions of the LARP battlefield. Its simple, traditional design goes with a variety of looks. Either combine it with a backplate or wear it alone. A V-shaped flange and rivets increase its deflection capability. A polished steel finish captures the eye. 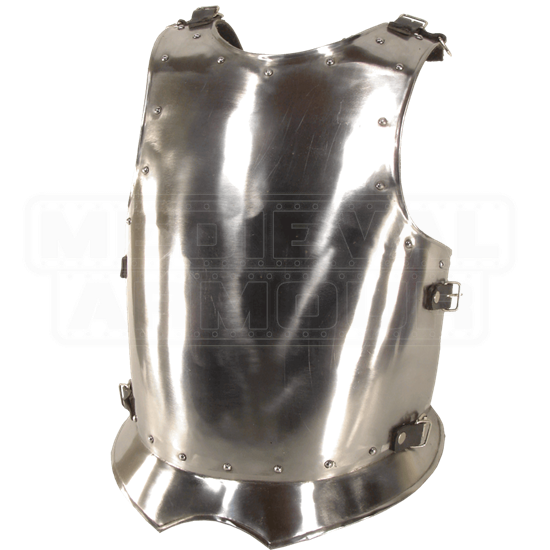 The buckle straps at the shoulders and sides allow easy attachment to a backplate or pauldrons. Length from Shoulder to Hip: 26 Inches. These are measurements of the armour only, these measurements do not include the straps/buckles. Keep in mind that if you are wearing a gambeson or heavily padded shirt, to take your measurement while wearing the garment and order by that measurement.